We are pleased to inform you that as a student or a faculty/staff member of De La Salle University, you are eligible to download the latest Microsoft Windows 10 Education at no to little cost. 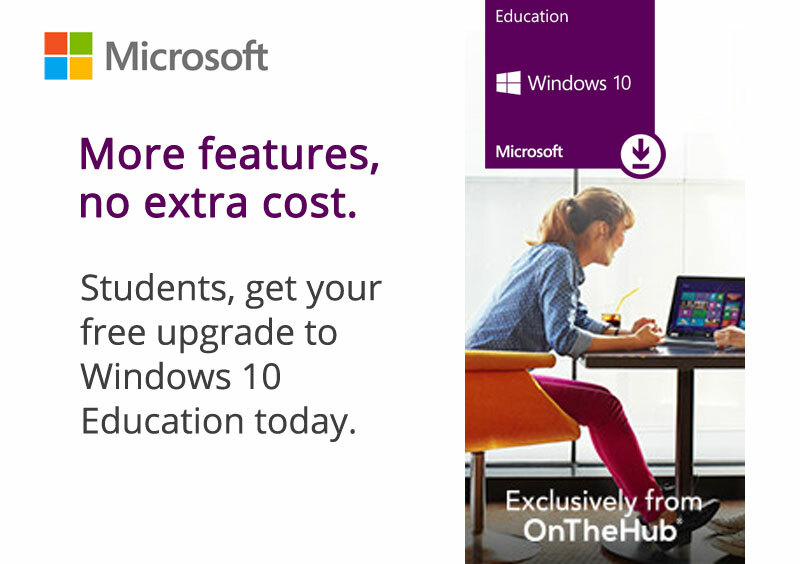 For students, Windows 10 Education can be downloaded at no cost under the Microsoft Student Use Benefit (SUB) program. For faculty and staff, Windows 10 Education can be downloaded for a minimal fee. There are also other educational software available at discounted prices. Go to https://dlsu.onthehub.com/ and click Register. Type your DLSU email address in the Organization-Issued Email Address field and click Continue. ​Proceed with the registration process and submit the form. ​An email will be sent to your account to confirm your email address (this is to ensure that users are being verified with their profile and not trying to use another member’s account to register). Click Sign In and enter your Username (DLSU email address) and password. You should see the Microsoft Windows 10 Education (Multilanguage) – Download. Click Add to Cart and then choose Check Out. Download and install your free Microsoft Windows 10 Education. All the Office 365 Pro Plus programs - all free for you. 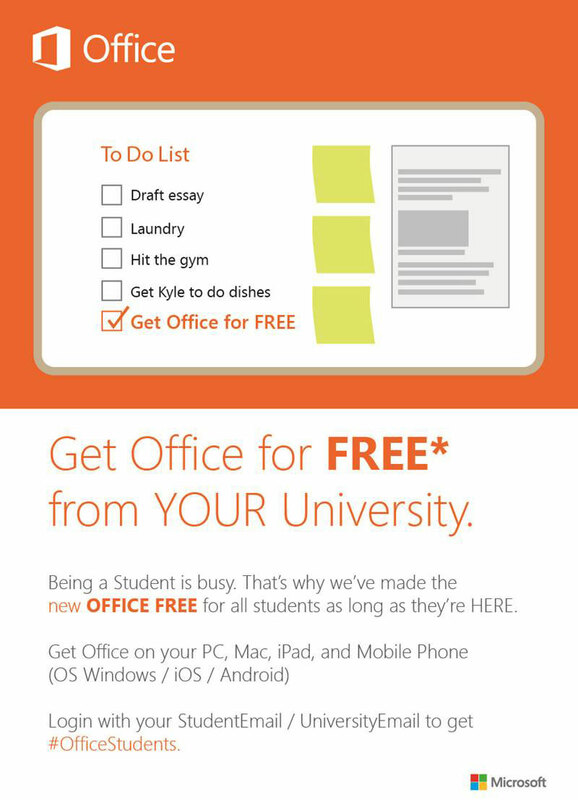 All students and teachers are entitled to FREE downloads of the complete Office 365 Pro Plus software package. Go to portal.office.com or click here. Login with your username and password. You should see the Office Pro Plus available for you to download and install. Download and install Office Pro Plus up to five devices, including Windows, Apple, and Android devices. Microsoft respects your privacy. Please read our online Privacy Statement. © 2013 Microsoft Corporation. All rights reserved. any newsletters you’ve requested or any mandatory service communications that are considered part of certain Microsoft services. How long does it take for my e-mail account to get activated? Why did my USB device stop working? How do I run defrag? Why do we need to maintain mailbox quota? I received an Error Message labeled: ERROR 619/369. What is this? What is the storage capacity of my personal folder on the server? Is there a standardized format for My.LaSalle e-mail addresses? With the implementation of name-based email, the Information Technology Center has received reports that there are instances when some users do no receive e-mails. After investigating this problem, ITS has found that this has nothing to do with the server. Sender uses cached auto-complete e-mail address in Outlook e-mail client. Recipient has two name-based email addresses: an employee account and a student account. Sender mistakenly sent e-mail to the recipient's other e-mail address (to the student account e-mail instead of the employee account e-mail and vice versa). If you are running your My.LaSalle email through Microsoft Outlook, you may have noticed that a dialog balloon that contains the message "Outlook is trying to retrieve data from the Microsoft Exchange Server <server name>" occasionally appears on your notification bar. If you are disturbed by the appearance of this message, it is important to understand why this happens, and what you can do about it. A password is a second part of an access code. It is a secret series of characters that enables a user to access a file, computer, or program. It helps ensure that unauthorized users do not access the computer or particular data files and programs. There are a number of things that you can do to help you manage your mailbox size and avoid quota issues, keep your email well-organized and free from junk email. WiMax (802.16e) is the latest standard of wireless networking. While WiFi is a network infrastructure being used in LAN (Local Area Network) environments, WiMax is designed to provide high speed internet access in the MAN (Metropolitan Area Network). Windows Vista is, as promised, the biggest new version of Windows since Windows 95. So much has changed in the incredibly long period of time between its release and of its predecessors, Windows 2000 and Windows XP. Its numerous new features include major User Interface changes with the new Windows Aero, enhanced security features with Windows Defender and Windows Backup, and optimized entertainment features with Windows Media Center. Microsoft had gone back to the drawing boards with the new Office product released in early 2007. Instead of creating yet another Office version with a slightly modified user interface and slightly improved features, the company has completely rethought the productivity application User Interface, and came up with one they call a more ‘result-oriented’ UI.